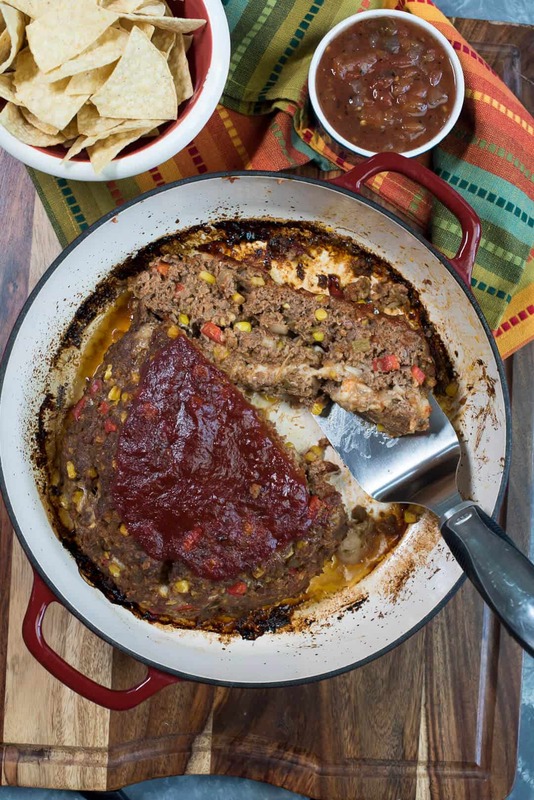 Big, bold, and flavorful, this Tex-Mex Cheese Stuffed Meatloaf with Smoky Chili Glaze will satisfy the heartiest of appetites! Well, here we are just weeks away from Christmas and I’m talking about meatloaf today. 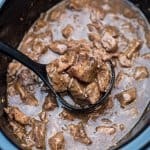 What does this recipe have to do with Christmas? Nothin’! But, it’s been chilly outside and when I’m cold my mind and my appetite turn towards comforting meals like this one. 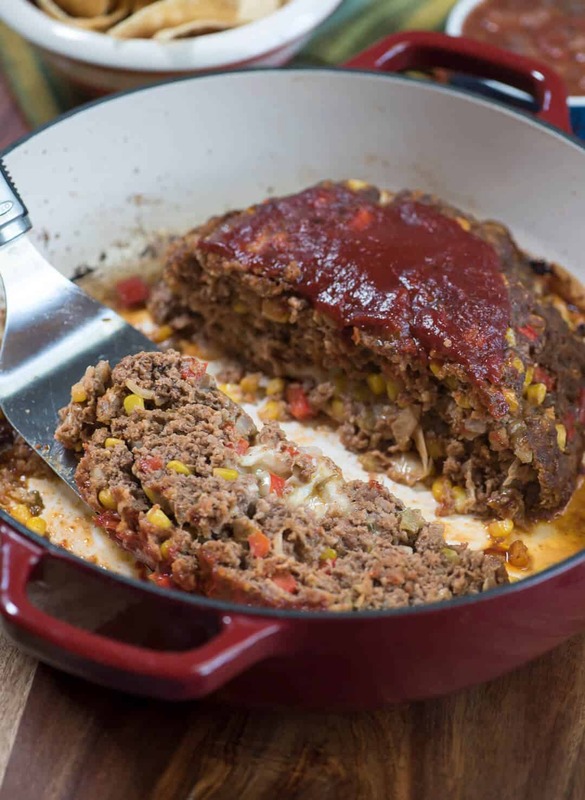 There is a lot going on with this meatloaf. 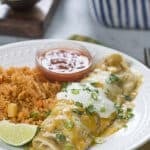 It starts with the typical mixture of ground beef and pork but then it takes a Tex-Mex fork in the road with the addition of chili sauce, onion, red bell pepper, diced green chilis, corn, and a bevy of seasonings to drive home the point. Then, of course, I had to stuff it with shredded pepper Jack cheese and top it off with a tangy, smoky glaze. Here’s how it comes together. Half of the meat mixture is placed in a baking dish that has been coated with non-stick cooking spray. I pressed it into a football shape and formed a well in the center. I filled the center with shredded pepper Jack cheese. Then, the other half of the meat mixture is molded down over the top, sealing the cheese inside. 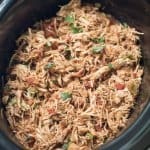 A two ingredient Smoky Chili Glaze is spread over the top towards the end of the baking time. It’s a moist, tender meatloaf that would be wonderful served over a mound of mashed potatoes. 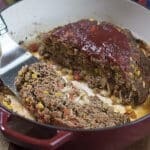 This time around I served it with a mixture of roasted baby Yukon gold potatoes and sweet potatoes but this meatloaf would also be excellent served with Roasted Red Potatoes or Almond Rice Pilaf. 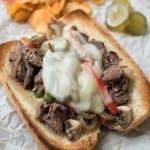 I highly recommend serving the leftovers on toasted hoagie rolls with more pepper Jack cheese melted over the top. 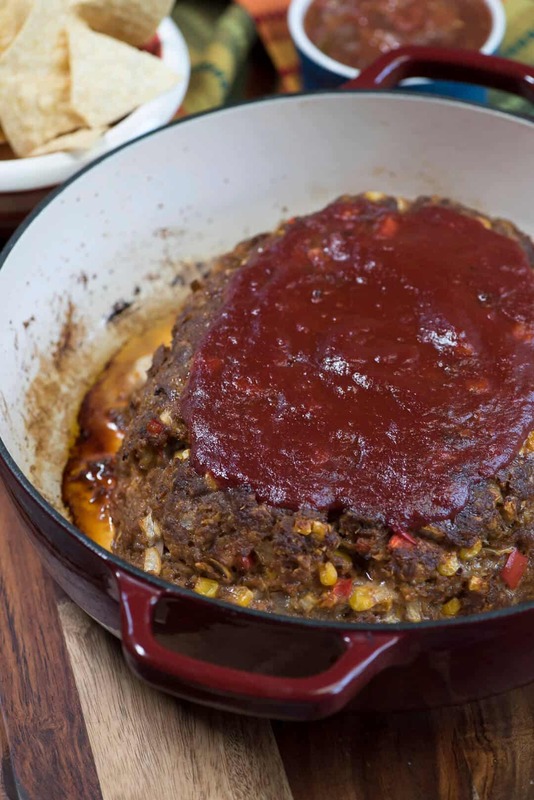 Have you ever tried cooking meatloaf in your slow cooker? 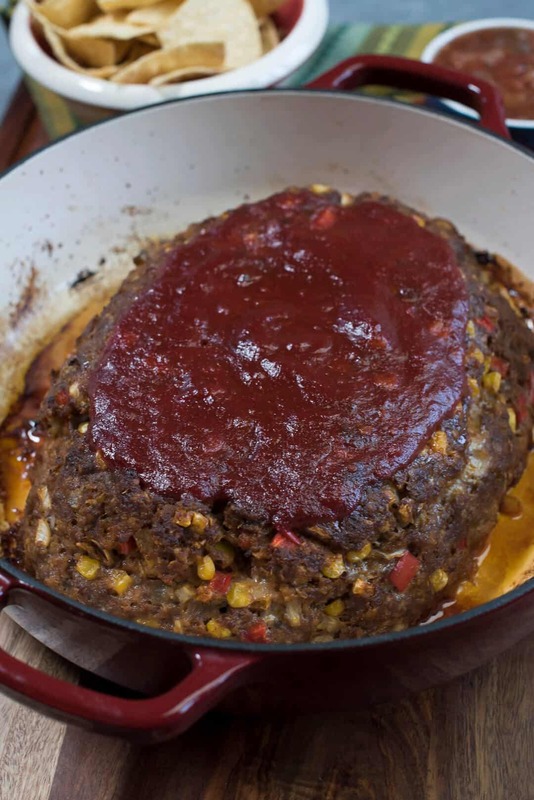 Check out this Crockpot Meatloaf. It’s a great method! Preheat the oven to 350 degrees F. Coat the bottom of a 13" x 9" or similar sized baking dish with non-stick cooking spray. In a large mixing bowl, combine 1/2 cup of chili sauce with the water. Add the oats, egg, diced green chilis, Worcestershire, chili powder, cumin, garlic powder, oregano, and black pepper. Mix well. 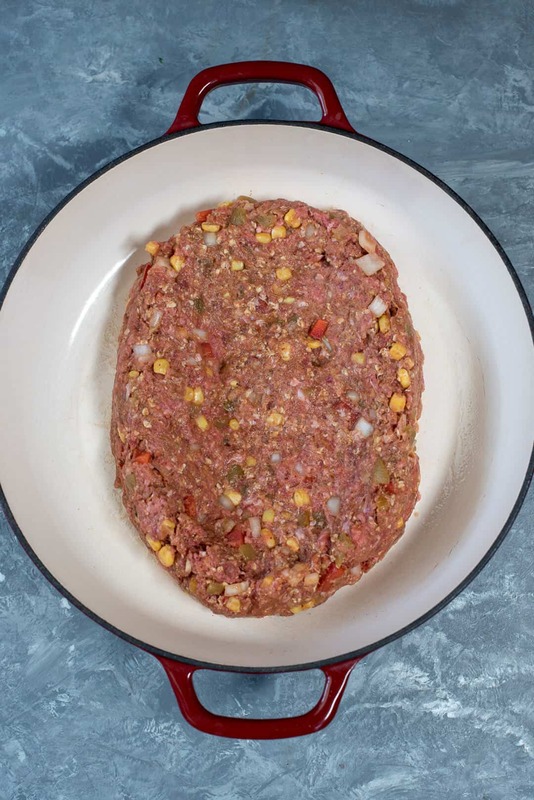 Add the ground beef, ground pork, bell pepper, onion and corn and mix well. 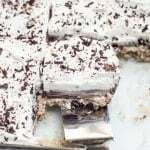 Use your hands to work the mixture until all the ingredients are completely incorporated. Divide the meat mixture in half. Lay half the meat mixture in the prepared baking dish, forming into a football shape. Create a shallow well so that the edges are higher than the center. 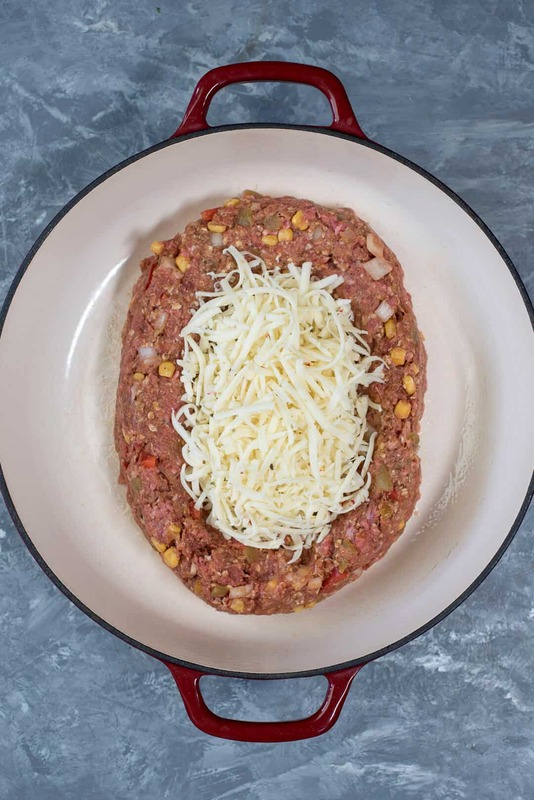 Layer shredded cheese on top of the meat along the center, staying about 1/2 inch away from the edges. Cover completely with the 2nd half of the meat mixture forming a domed top and sealing the edges. Bake, uncovered, for 50 minutes. Meanwhile, combine 1/4 cup chili sauce with smoked paprika in a measuring cup or small bowl. 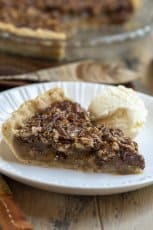 After initial baking time, pull baking dish out of the oven and carefully spoon out and discard the excess grease from the dish. 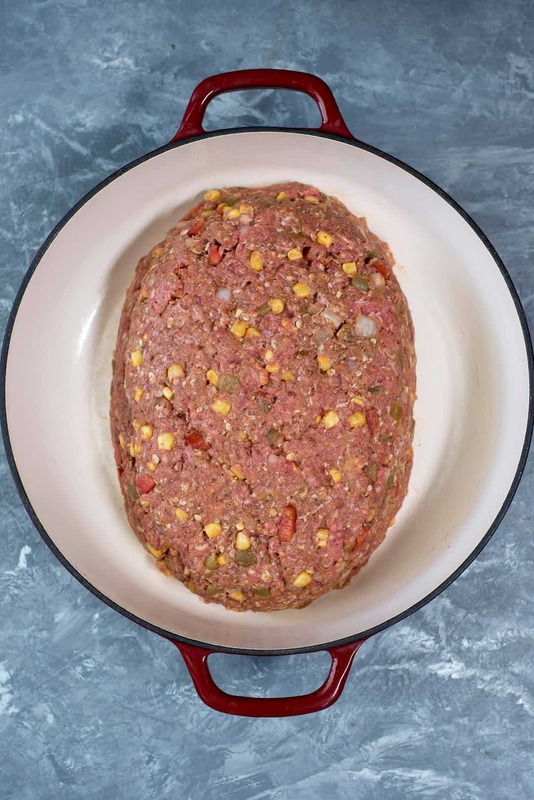 Spread the glaze over the top of the meatloaf and return to the oven to bake about 15 minutes longer, or until a meat thermometer inserted in the center of the meatloaf registers 165 degrees F. Allow the meatloaf to stand for 5-10 minutes before slicing. Feel free to omit the ground pork and use 2 1/2 pounds ground beef. 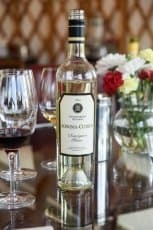 Chili sauce has a zesty, vinegary kick and can be found in the condiment section of your grocery store. 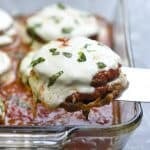 For a milder flavor you can substitute plain tomato sauce. 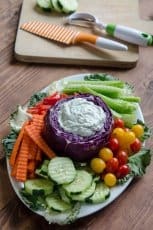 How do I get this recipie without getting something called pintrest. I don’t wan that i just wan to be able to print this? 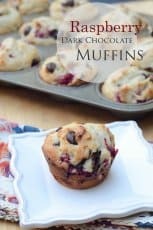 The recipe card at the bottom of this post is printable.